Recently, Samsung examined every aspect of the controversial Samsung Galaxy Note7. 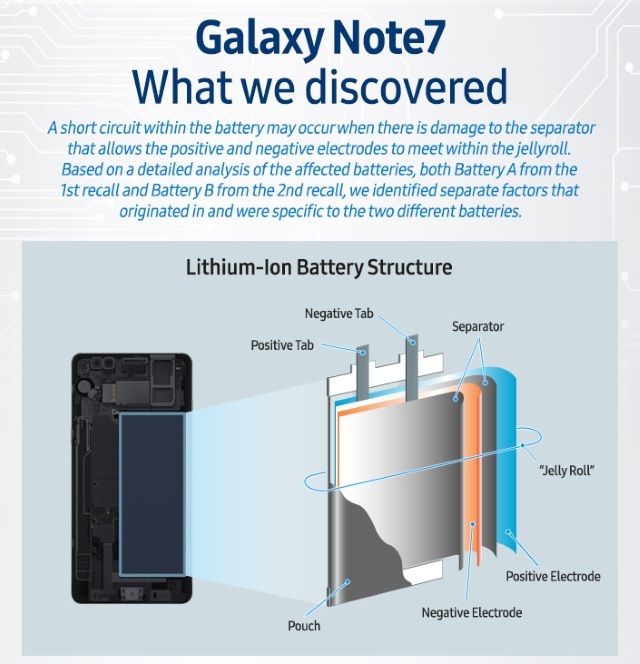 These investigations concluded that the batteries were the cause of the Galaxy Note7 incidents. 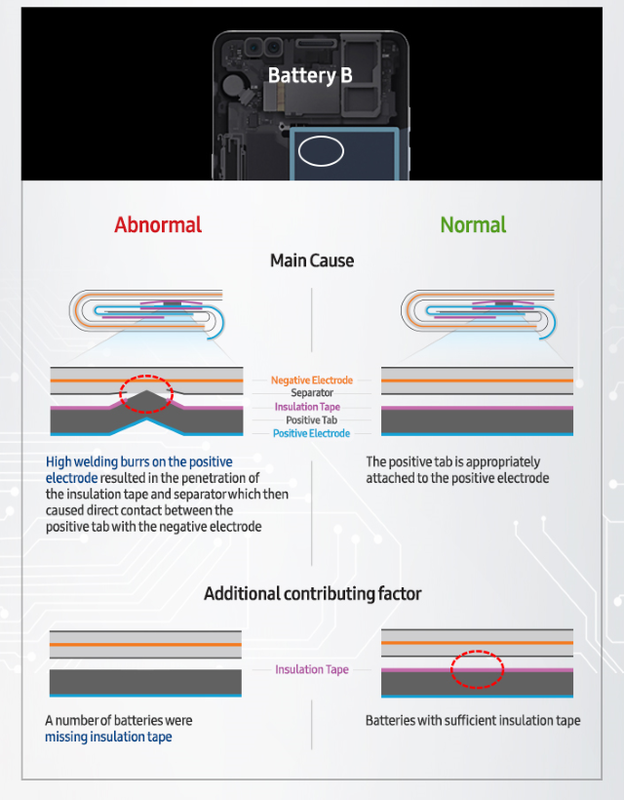 Specifically, Samsung discovered that the battery short circuits when damage occurs to the separator that allows the positive and negative elctrodes to meet within the jellyroll. 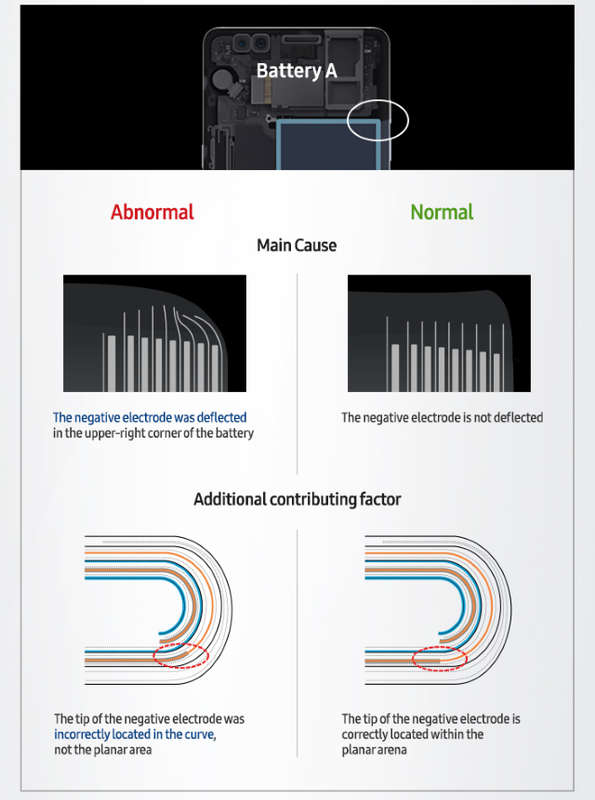 In layman’s terms, this means that the positive and negative elecrodes showed certain abnormalities. These abnormalities then led to the malfunctioning of the batteries. Following the Samsung Galaxy Note7 incidents, Samsung developed strict quality assurance protocols across its entire development process. Samsung’s enhanced 8-Point Battery Safety Check. This addresses safety from the component level to the assembly and shipment of devices. It doesn’t skip any part of the production process, ensuring that Samsung monitors anything that may happen in the assembly line, or during delivery to retailers. 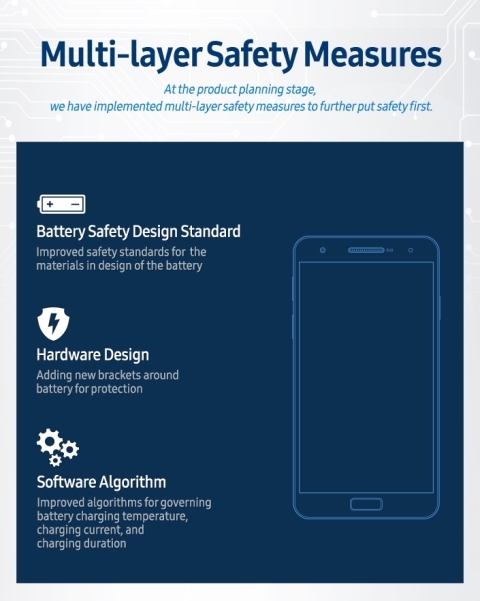 Samsung’s enhanced multi-layer safety measures protocol. This aims to implement strict safety standards on every element of the company’s devices. This includes the overall design and materials used, device hardware strength, its capabilities and software algorithms. This should result in safer battery charging temperature, current and duration. Samsung’s new battery advisory group. Made up of external advisers, these experts ensure that Samsung is up-to-date on battery safety and innovation guidelines. Members of this group include well-learned and well-traveled Ph.D. holders, engineers, and scientists trained in various disciplines. Samsung enacts these steps, hoping that they can improve upon the safety of lithium-ion batteries. 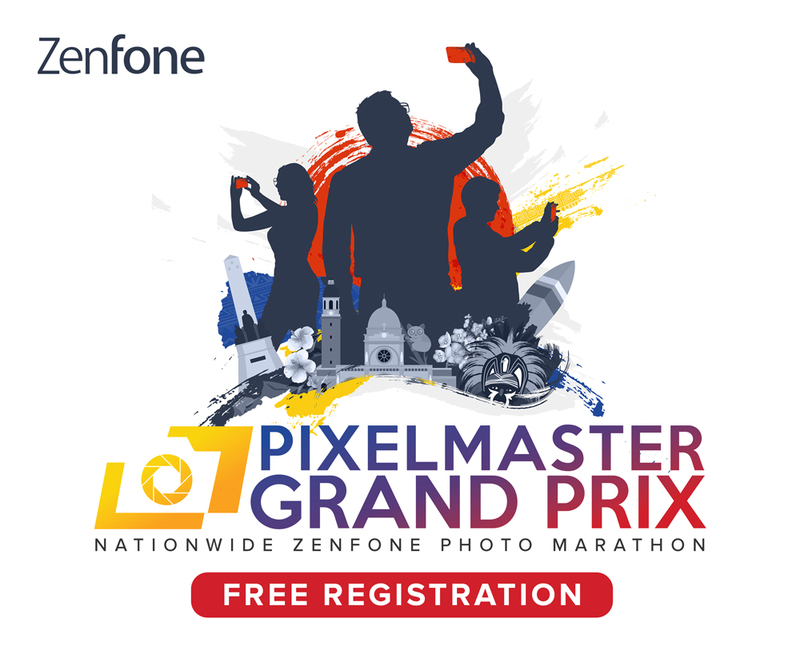 At this point, they not only are looking out for themselves, but also for the rest of the smartphone industry.